A Man With A Trimmer Cuts Grass On A White Background. A Man In Overalls Cuts Grass With A Trimmer. Worker Cutting Grass In Garden With The Weed Trimmer. Lizenzfrei Nutzbare Vektorgrafiken, Clip Arts, Illustrationen. Image 102004566. 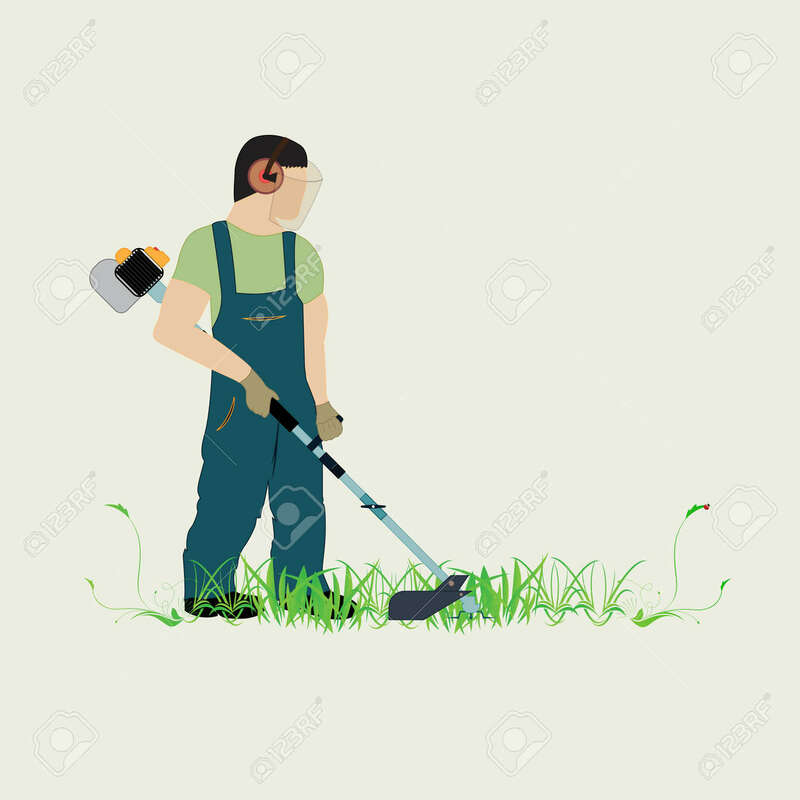 Standard-Bild - A man with a trimmer cuts grass on a white background. A man in overalls cuts grass with a trimmer. Worker cutting grass in garden with the weed trimmer. A man with a trimmer cuts grass on a white background. A man in overalls cuts grass with a trimmer. Worker cutting grass in garden with the weed trimmer.